The Semenggoh Nature Reserve here in Kuching, is well known for it’s Orang Utan programme. Wardens at the Semenggoh Nature Reserve had been trained for over 20 years in dealing with these primates, many of witch are orphaned or rescued from captivity. Testament to the success of the programme is a thriving population of healthy adolescent and young adult orang utans. The programme has since been transferred to Matang Wildlife Centre, but Semenggoh remain home to its successful graduates, semi-wild orang utans and their babies which are an attraction to many. WHAT TO DO IN SEMENGGOH NATURE RESERVE? 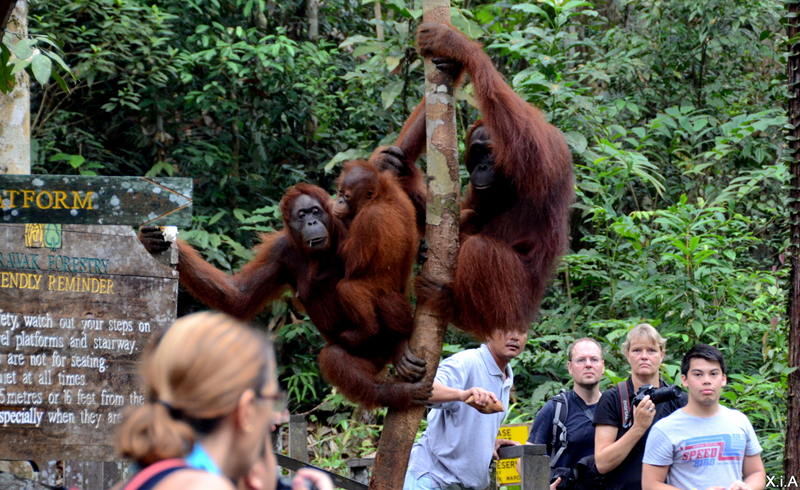 People come to Semenggoh Nature Reserve to see Orang Utans. It is quite rare for visitors to come for other reasons. However, bird watching is also a known activity at the nature reserve, although the short opening time does limit such activity. 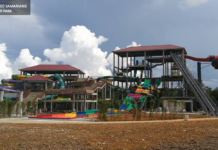 WHEN IS SEMENGGOH NATURE RESERVE OPEN? 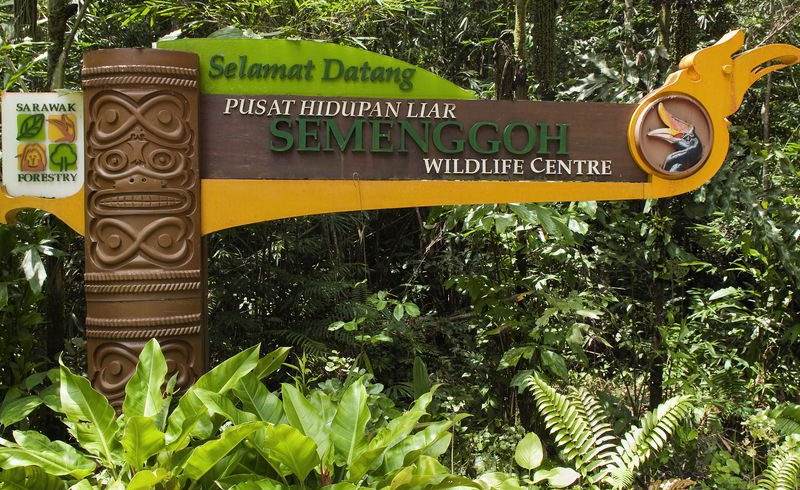 Semenggoh Nature Reserve is open daily, including public holidays. There is two main sessions for opening, one being from 8.00 – 10.00 AM, and another from 2.00 – 4.00 PM. The best time to visit however is during morning and afternoon feeding sessions. Feeding usually takes place between 9.00-10.00 AM and between 3.00-4.00 PM. HOW TO GET TO SEMENGGOH NATURE RESERVE? If you are driving, the map below will be a huge help definitely. However, if you are using public transport other than ride sharing and taxis, public bus is the next best alternative. 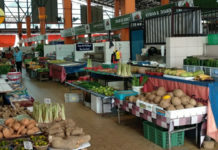 From Kuching, take a Sarawak Transport Company (Green bus) bus No. 6. The bus stops outside the main gate of the nature reserve. From that point, a 20 minute walk to the Centre is required. Buses run from 7AM onward, and the last bus back to Kuching is at 5PM. There is no nearby accommodation to the Semenggoh Nature Reserve. Most visitors come for a day trip. However, if you do need accommodation in Kuching, you can find Kuching hotels listed accordingly by us in our Kuching Hotel list. Kuching is home to a lot of forest reserves and national parks. 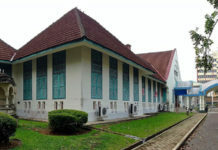 The oldest and most prominent is the Bako National Park, while other smaller ones like the Gunug Gading National Park and Matang Wildlife Center are slowly growing in prominence. If you are interested in turtle conservation, limited places are available yearly for the Sea Turtle Conservation Programme at the Talang-Satang National Park.